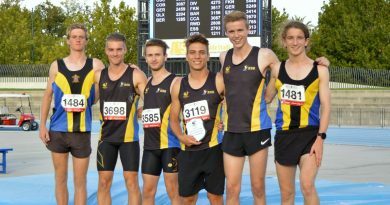 Keilor St Bernard's club records | Keilor St. Bernard's Athletic Club Inc.
Keilor St Bernard’s club records. Keilor St Bernard’s official club records are a fascinating cross-section of the history of the Club over its fifty-plus years. They record the highest of the highs over the decades and represent some remarkable achievements by our athletes. While some records go back to some of the Club’s earliest days, records are made to be broken. So please make the Club aware of any performances you consider may be a Club record.